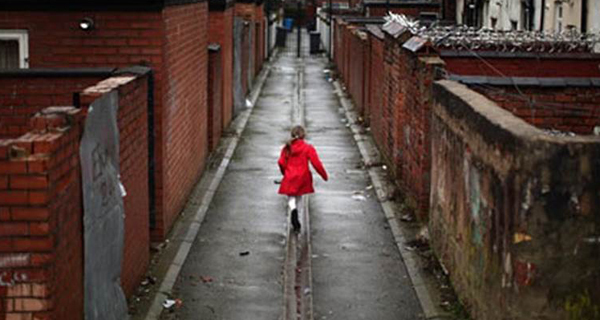 Charity announces new ‘long-term deal’ to tackle poverty for first generation of "Brexit children"
The Joseph Rowntree Foundation (JRF) has today launched a five-point plan to solve poverty by 2030. It is the most comprehensive strategy of its kind to set out how to solve poverty across all groups in the UK. Julia Unwin, Chief Executive of JRF, said: “It’s shameful that in the 21st century, 13 million people in our wealthy country are living in poverty. A new ‘long term deal’ to solve poverty is urgently needed so the first generation of ‘Brexit children’ starting school this week grow up in a country where no matter where they live, everyone has a chance of a decent and secure life. Previous approaches have been too piecemeal, failing to deal with issues such as the high cost of living. Invest an extra £1 billion per year to build 80,000 genuinely affordable homes to rent and buy in England each year. Reform job centres to support people into secure and better-paid work – not just any job. Double investment in basic skills training so 5 million more adults have basic literacy, numeracy and digital skills by 2030. Support strong families and relationships by establishing a family hub in every area. Give mayors and town halls the incentives, powers and budget to help create more and better jobs and connect people in poverty to economic opportunities. Turn2us Chief Executive Simon Hopkins said: "The publication of JRF’s compelling report provides a timely reminder that poverty is a stressful reality for millions in the UK. But it also acts as a collective call to action to confront and defeat this stubborn foe. "We wholeheartedly agree that tackling poverty needs a coordinated and determined approach involving multiple bodies across all sectors. There is much inspiring work already being done – our collective response must be to combine better to make that work as comprehensive and effective as possible. Our free Grants Search, features over 3,000 charitable funds, with information on eligibility based on background, personal circumstances and needs.